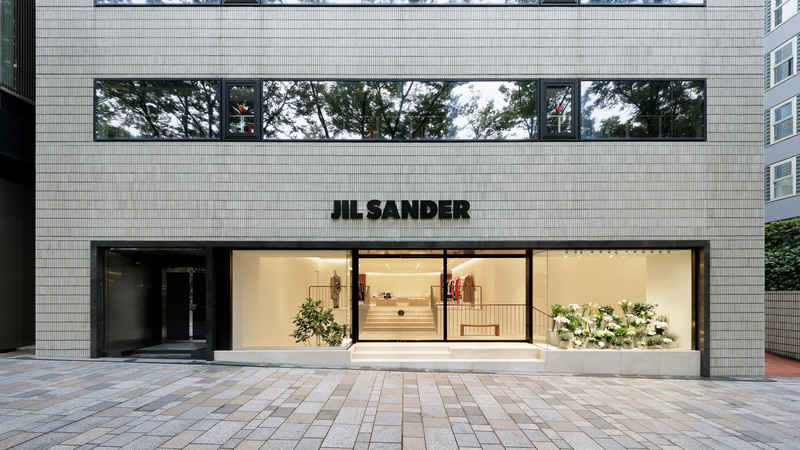 London-based designer John Pawson has created a minimalist interior for the new Japanese flagship store of fashion label Jil Sander, pairing pale limestone walls and floors with cherry wood accents. 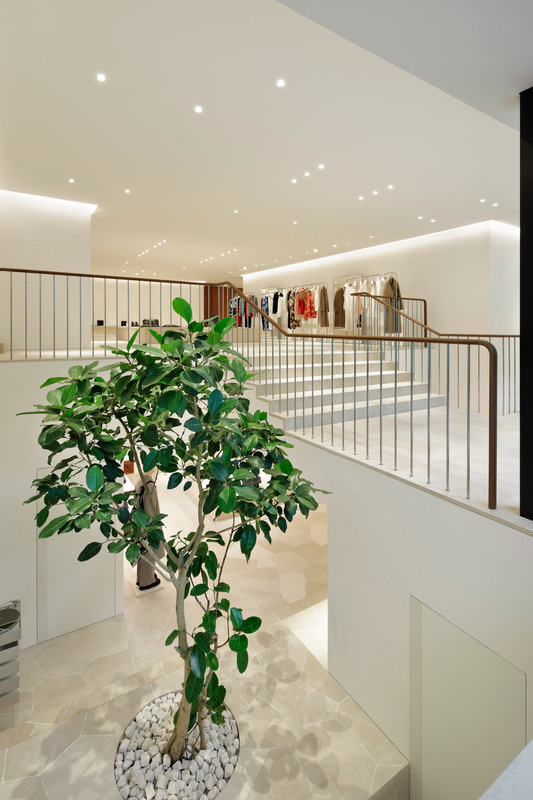 Situated in Omotesando, Tokyo’s luxury shopping district, the shop is sparsely furnished. The only colour comes from the orange-toned wood, meaning the clothing and accessories can take centre stage. The exterior of the store is clad in slim grey tiles. This is punctured by one long display window that allows passersby an overview of the interior. A short flight of stairs at street level leads customers up to a display area where clothes are hung on simple, stainless-steel rails. Blocks of limestone sit in front of a curved partition wall, offering further space for products to be showcased. The same stone also provides the flooring. More garments are on show in the basement area, which is finished in much in the same style – although there are a couple of rooms that are lined in panels of warm-hued cherry wood. 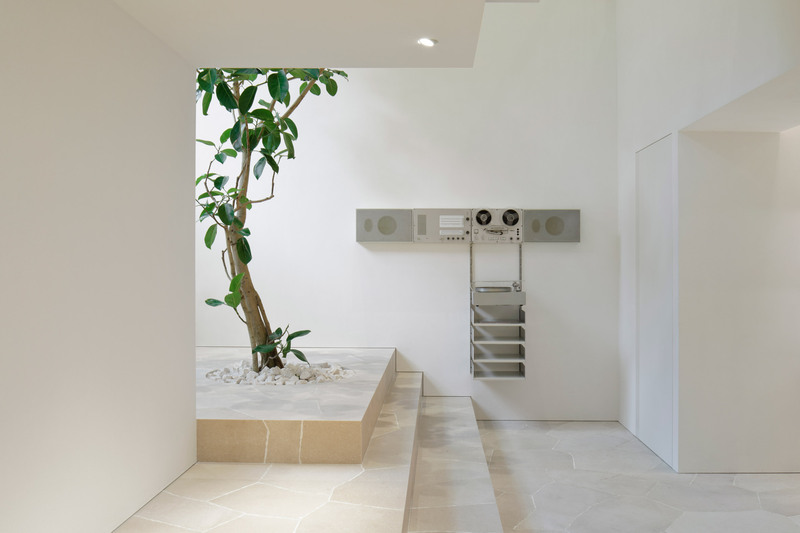 The focal point of this level is a tall banyan tree, planted in a corner void, which grows up through the stairwell.